Just a quick and short update on my recent activities this time. 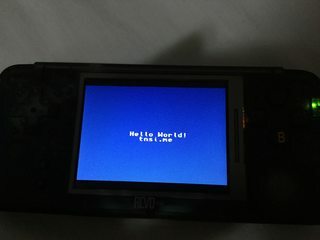 I picked up a Revo K101+ hardware clone of Nintendo’s Gameboy Advance, mainly for the fact that, as a hardware clone, it comes with a cartridge that will read off of a microSD card. Here’s something I was able to quickly put together, as per programming tradition.